Today, I discovered one good e-Magazine on shirt "System of Shirt - A research on Men's white dress shirt". This e-magazine can be read for free on Issuu. Why I love this e-Magazine? 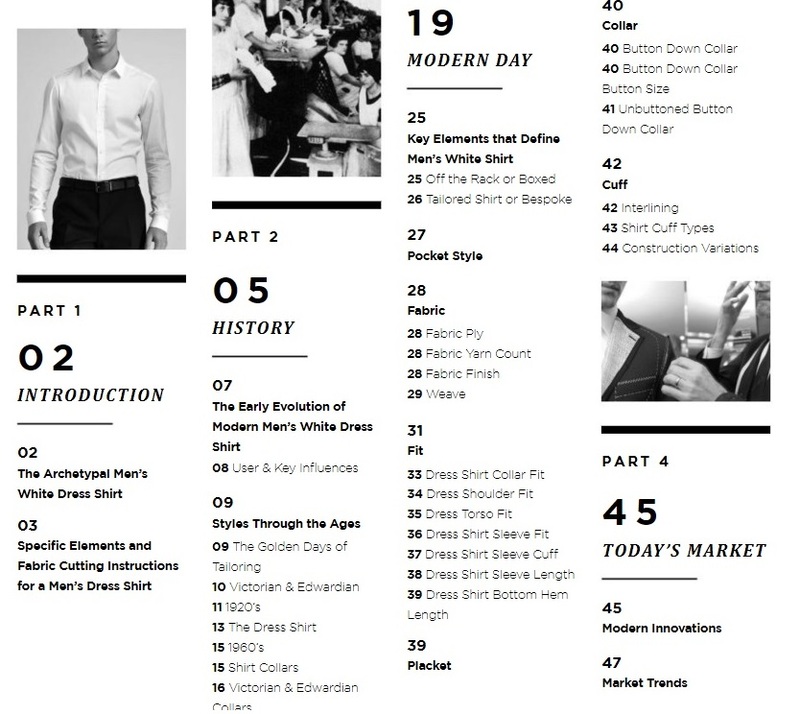 The magazine covered all details of making a dress shirt. It covers various designs of shirt components - like collars, front placket, pocket, cuff, different fits of a shirt. Common fabric weave and fabric types used for shirt making. I am sharing this e-Magazine just make you more knowledgeable. See the content of this book in below image. This magazine is a good guide for those who are planning to start a shirt manufacturing business. Keep reading and keep learning. A research on men's dress shirt, Shirt components, history of men's dress shirt, shirt making.